Figure 2.1. Synthesis of risk-management approaches to global warming. The left side shows the projected range of global warming from the TAR (bold lines) with zones of maximum benefit for adaptation and mitigation depicted schematically The right side shows likelihood based on threshold exceedance as a function of global warming and the consequences of global warming reaching that particular level based on results from the TAR. Risk is a function of probability and consequence. The primary time horizons of approaches to CCIAV assessment are also shown (modified from Jones, 2004). processes, but the benefits will accumulate over different time-scales and, in many cases, they can be assessed and implemented separately (Klein et al., 2005). These complementarities and differences are discussed in Section 18.4 of this volume, while integrated assessment methods utilising a risk-management approach are summarised by Nakicenovic et al. (2007). Some of the standard elements within the risk-management process that can be adapted to assess CCIAV are as follows. • A scoping exercise, where the context of the assessment is established. This identifies the overall approach to be used. • Risk identification, where what is at risk, who is at risk, the main climate and non-climate stresses contributing to the risk, and levels of acceptable risk are identified. This step also identifies the scenarios required for further assessment. • Risk analysis, where the consequences and their likelihood are analysed. This is the most developed area, with a range of methods used in mainstream risk assessment and CCIAV assessment being available. • Risk evaluation, where adaptation and/or mitigation measures are prioritised. • Risk treatment, where selected adaptation and/or mitigation measures are applied, with follow-up monitoring and review. Two overarching activities are communication and consultation with stakeholders, and monitoring and review. These activities co-ordinate the management of uncertainty and ensure that clarity and transparency surround the assumptions and concepts being used. Other essential components of risk management include investment in obtaining improved information and building capacity for decision-making (adaptive governance: see Dietz et al., 2003). 2006). National frameworks constructed to deliver national adaptation strategies include those of the UK (Willows and Connell, 2003) and Australia (Australian Greenhouse Office, 2006). The World Bank is pursuing methods for hazard and risk management that focus on financing adaptation to climate change (van Aalst, 2006) and mainstreaming climate change into natural-hazard risk management (Burton and van Aalst, 2004; Mathur et al., 2004; Bettencourt et al., 2006). 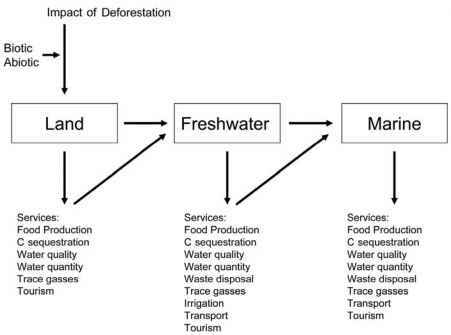 Therefore, risk management is an approach that is being pursued for the management of climate change risks at a range of scales; from the global (mitigation to achieve 'safe' levels of GHG emissions and concentrations, thus avoiding dangerous anthropogenic interference), to the local (adaptation at the scale of impact), to mainstreaming risk with a multitude of other activities. CCIAV assessments aim to understand and manage as much of the full range of uncertainty, extending from emissions through to vulnerability (Ahmad et al., 2001), as is practicable, in order to improve the decision-making process. At the same time, a primary aim of scientific investigations is to reduce uncertainty through improved knowledge. However, such investigations do not necessarily reduce the uncertainty range as used by CCIAV assessments. A phenomenon or process is usually described qualitatively before it can be quantified with any confidence; some, such as aspects of socio-economic futures, may never be well quantified (Morgan and Henrion, 1990). Often a scientific advance will expand a bounded range of uncertainty as a new process is quantified and incorporated into the chain of consequences contributing to that range. Examples include an expanded range of future global warming due to positive CO2 feedbacks, from the response of vegetation to climate change (see Section 2.2.5; WGISPM), and a widened range of future impacts that can be incurred by incorporating development futures in integrated impact assessments, particularly if adaptation is included (see Section 2.4.6.4). In such cases, although uncertainty appears to be expanding, this is largely because the underlying process is becoming better understood. The variety of different approaches developed and applied since the TAR all have their strengths and weaknesses. The impact assessment approach is particularly susceptible to ballooning uncertainties because of the limits of prediction (e.g., Jones 2001). Probabilistic methods and the use of thresholds are two ways in which these uncertainties are being managed (Jones and Mearns, 2005; see also Section 2.4.8). Another way to manage uncertainties is through participatory approaches, resulting in learning-by-observation and learning-by-doing, a particular strength of vulnerability and adaptation approaches (e.g., Tompkins and Adger, 2005; UNDP, 2005). Stakeholder participation establishes credibility and stakeholders are more likely to 'own' the results, increasing the likelihood of successful adaptation (McKenzie Hedger et al., 2006).